This might be kind of unusual for someone in my position, but I'd like to see our clients spend as little as possible on their dream diamond. 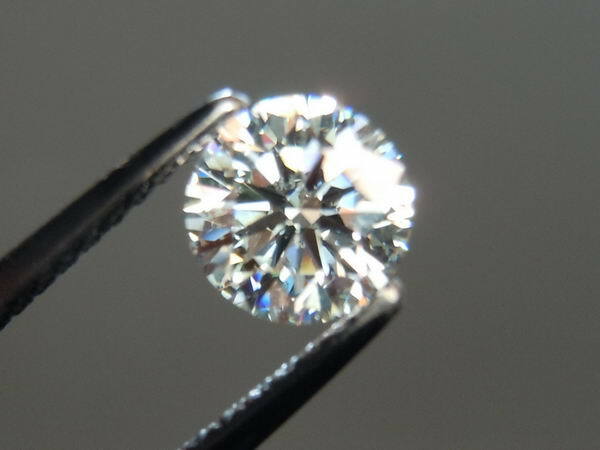 If you want a D Internally Flawless, we'll show you one. 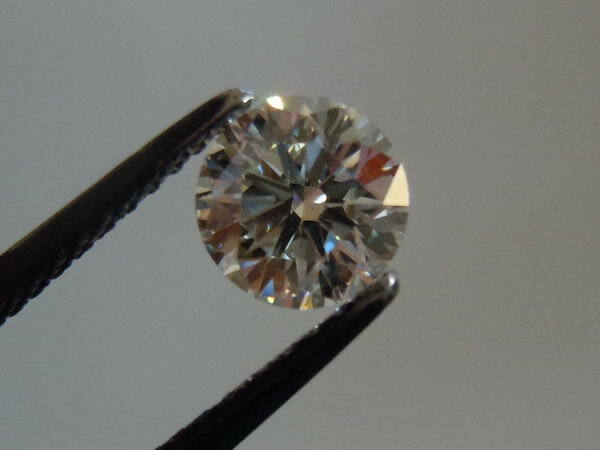 But if you want to get a diamond of a given size, for the lowest possible price, there's ways to do that. Well, one thing we don't recommend scrimping on is cut. 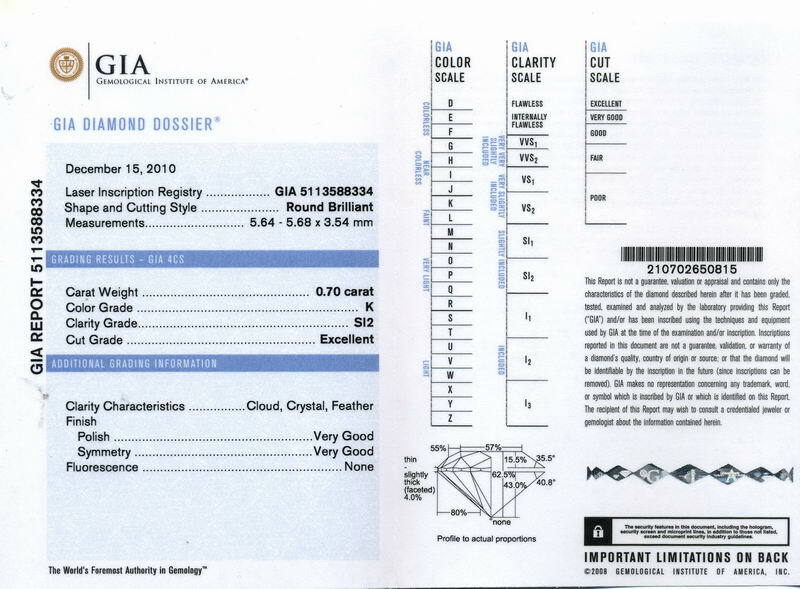 This is one of the more esoteric aspects- but with round diamonds, GIA makes it a bit easier as they issue a "cut grade" on round diamonds. This one is graded "Excellent" cut grade. This stone has one of the lower color/ clarity combinations. K color, SI2 clarity. That really knocks the heck out of the price. 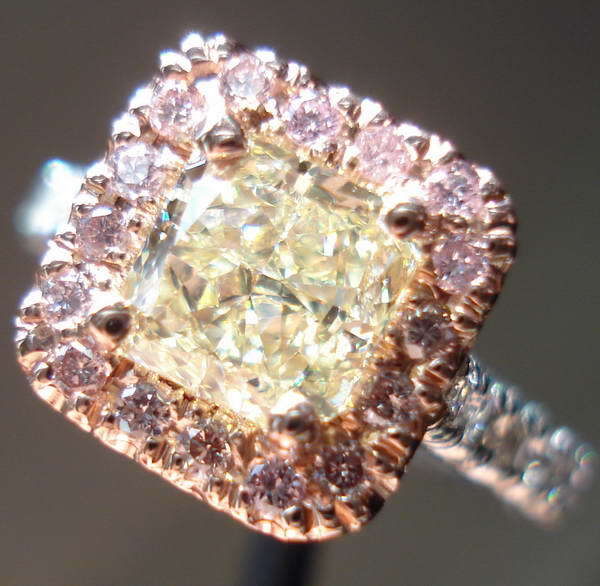 K color: For someone who wants a colorless diamond and is very color sensitive, K won't work. But my experience is that very few people fit into that category- and you know if you're one of them! 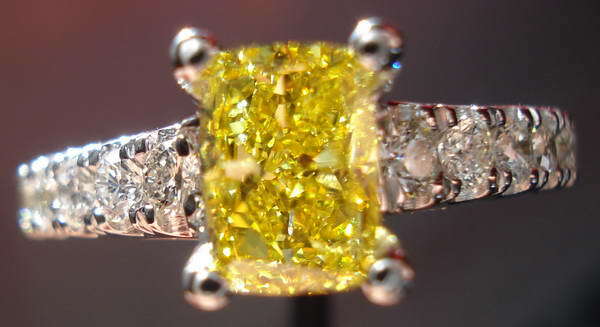 I can see color in diamonds- yet I'm not at all bothered by it. 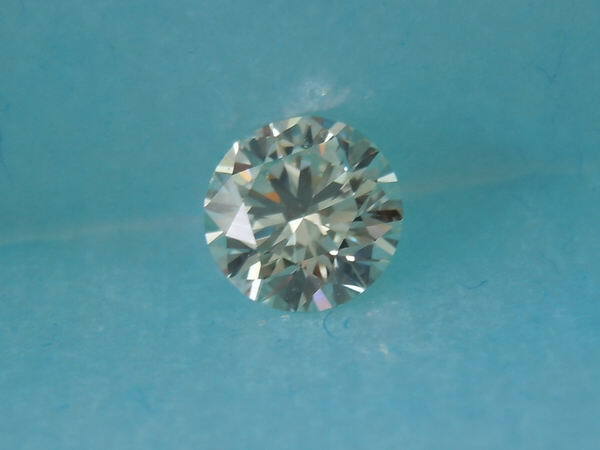 This K color looks quite white- unless you hold it next to a much higher colored diamond, you can't see the tint. K color, by the way, is about 25% less than G, and about 40$ less than D. Savings that add up. SI2 Clarity: It's so important to "clarify" people's understanding about clarity. 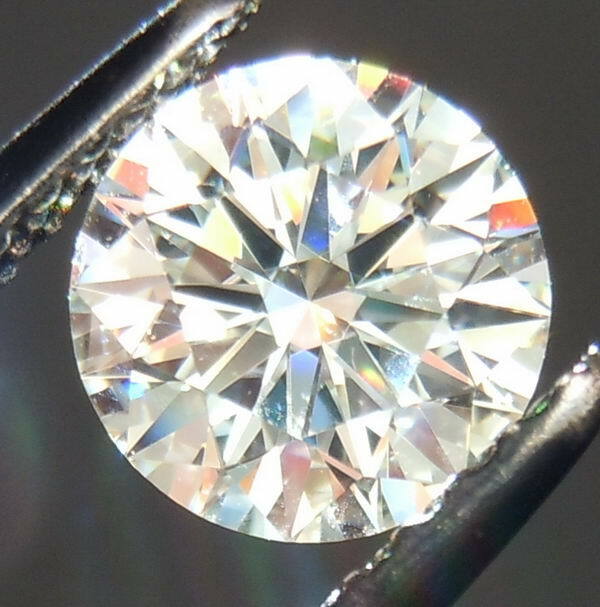 GIA does not grade the clarity based on the visibility of imperfection, rather on the presence of imperfection., What this means is that we can have two SI2 stones that look totally different. 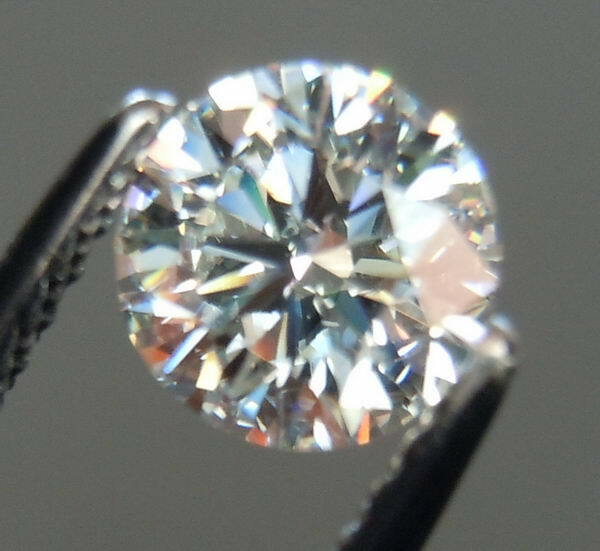 One might have a spot that you can see, in the dead center of this diamond. Or, as in this case, the imperfection is located in a spot that it's not possible to see it without the use of a jewelers loupe. 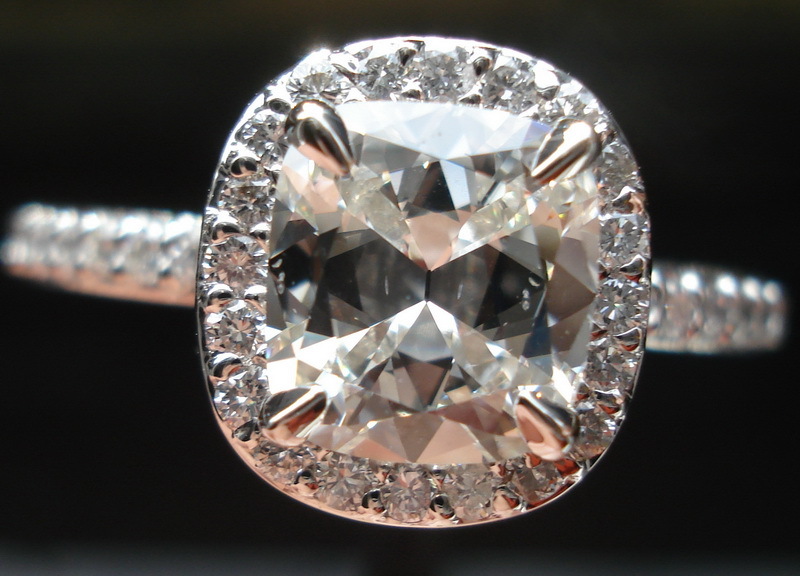 The imperfection has virtually no impact on the brilliance of the diamond. Si2 is about 1/3 less costly than a VS1- again, a large savings for something you'll never see, in this case. Check it out- all the photos are of the actual stone, plus the video. Plus, it comes with a money back guarantee, like all our stones.